Marty’s Event Planning organized a Ribbon Cutting and Breakfast Celebration event for Flancer’s restaurants in Gilbert and Mesa. The focus was to make people aware of their new breakfast menu and to encourage customer’s to experience a delicious breakfast to start the day. Marty’s Event Planning created the theme and followed through with the implementation of the event. Helped to create the advertising campaign through postcard development, Chambers of Commerce for the ribbon cuttings and secured door prizes to customers to register to win. 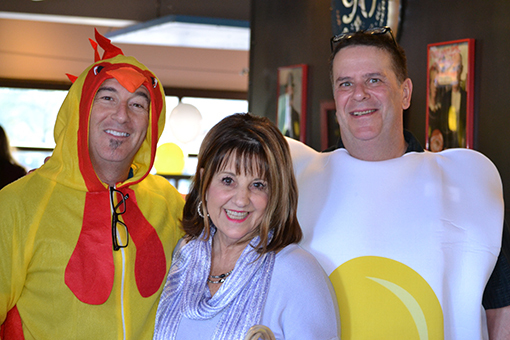 Each customer received a golden egg which had a coupon that could be used for a month – The Pulse Radio station was on location with music and live interviews about how great it was to have breakfast at Flancer’s. The weekend event was a huge success and Marty’s Event Planning and staff made it all happen. The restaurant is boosting an increase in breakfast sales by 60%!